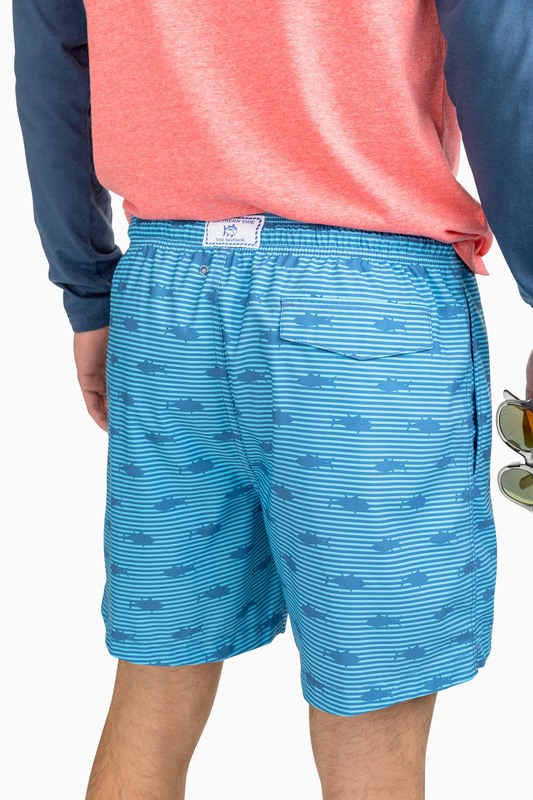 If sharks get you pumped, these shark-patterned. 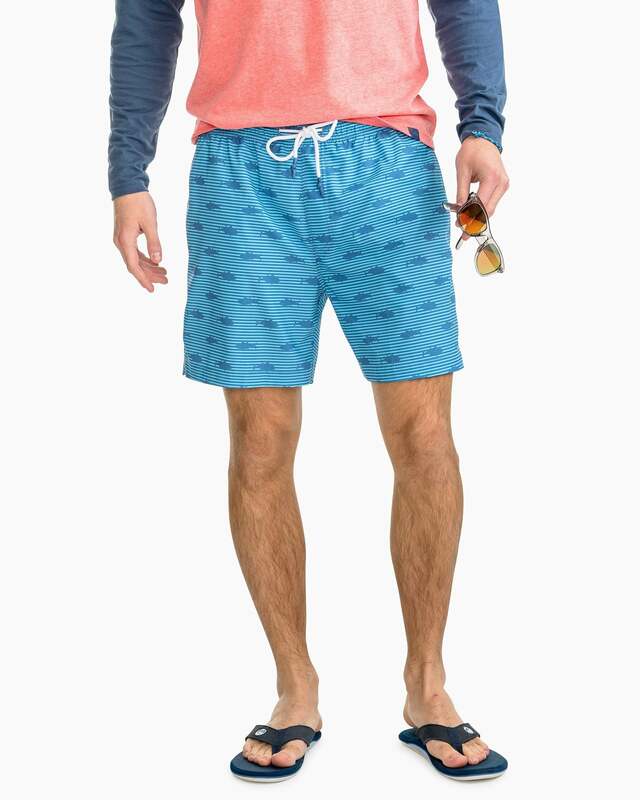 striped swim trunks will too. 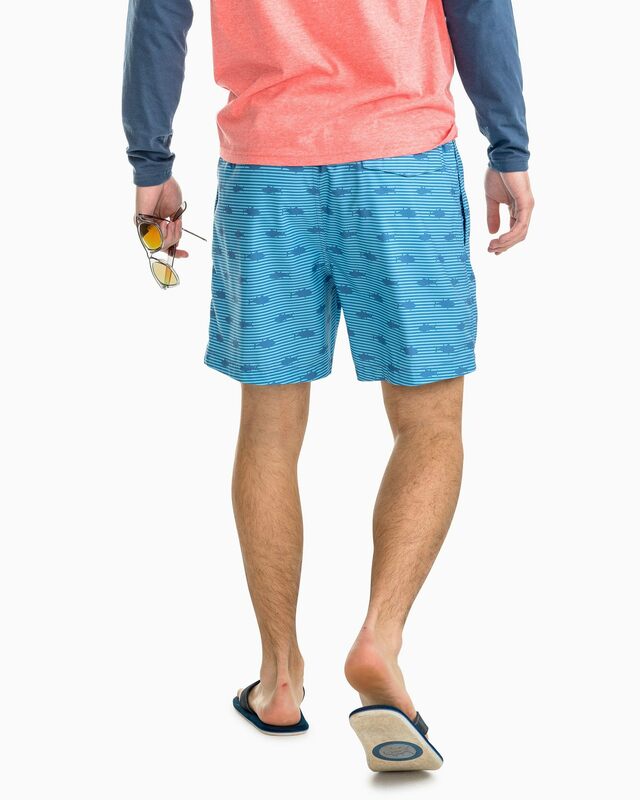 We designed the with lots of features to keep you comfortable in and out of the water—like built-in drainage, quick dry fabric and just the right amount of stretch.